You also want to sell your hotel products on eBay? new, ideal eBay target groups and buyers for your accommodation offers: roughly 130 million users can see and buy your offers. you sell in 10 different eBay markets and thereby will increase your sales significantly. Your offers are usually paid in advance. Whether you are a single property or international hotel chain: Or you wish to sell accommodation or special packages, or you have hotel software or not - we develop a tailor-made system. We consult you in terms of finding the optimal placement for your offer, promotion or your own eBay shop. We take over the entire sales and purchase process, including debt collection and shipping. By integrating an availability calendar, your customers can book directly on eBay.An automatic data exchange occurs between the CultBay system and your hotel software via an XML interface. Thus, the arrival dates - which you have allotted for a particular offer - will be shown and the buyer can make the booking online. The availability calendar enables hotel products to be directly booked on eBay. Postings are transmitted in real time and without any manual editing in your hotel software (PMS) or your Costumer Reservation System (CRS). You improve your results because you offer buyers a wider range of services. The number of requests via email and telephone is reduced. Your staff has more time for your guests. We have a customized solution for every need. 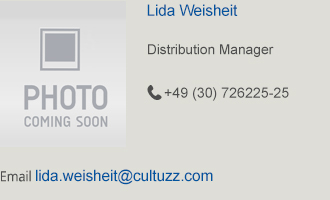 If you already use CultSwitch as a Channel Manager, we can offer you a very attractive price model. Please contact us! Get started selling your hotel products on eBay now! or use the request form. So, we can immediately connect you to the eBay travel market.